This finale, you guys. This finale. What a roller-coaster of emotions. Missy, of course, was delightfully wicked. What a great villain! She's crazy and chaotic and evil and also just a little bit sympathetic. In short, she's a perfect Master, er...um, Mistress. And I expect her to try and destroy humanity, sure. What villain wouldn't? But she also did some things that hit me right in the feels. For one, she killed Osgood. I am not ok with this. I loved her character from the 50th anniversary episode, and it was exciting to have her return- this time sporting a bowtie, ala the Eleventh Doctor- and help with the mission to save the world. And she gets a thrill when Capaldi hints that he might just take her for a spin on the TARDIS when this is all over, and you're thinking, "Osgood? Possible next companion? Oooh! Yes please!" And then, only moments later, she is tricked by Missy and disintegrated. Nooooooo! My feels are hurt. 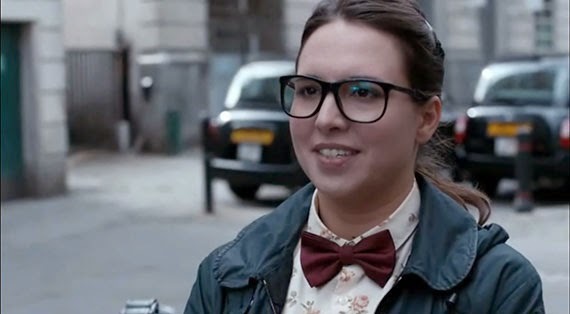 Osgood was a great character. She was us- the fans. She was the nerd who knows who the Doctor is, and gets all of the timey-wimey nonsense and would love nothing more than to flit off into time and space with him. She even cosplays, for Pete's sake! Killing her is like killing my dream, Moffat! Darn you. And then, there's Danny. 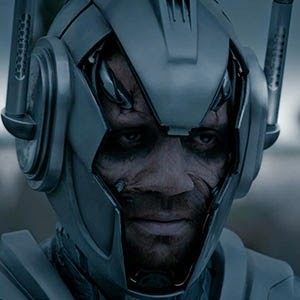 Yes, as I feared, he does get "upgraded" into a Cyberman. But because he never actually deleted his emotions before the download, he is the sole Cyber with his feelings still intact. And it is a torment. Danny is dead, and he knows that, and now he's marching around, clutching his own pink death notice, and before he reveals himself, he has to hear Clara give him a speech about how the Doctor is the one person she would never lie to. And of course, it is true. She never really treated Danny well. She gave him half of her attention, at best, and now it is too late. Danny needs Clara to shut off his emotions so that he doesn't have to march around, undead, with all of this pain in his heart as well. The Doctor advises her not to, of course, because once Danny is turned off, he should, in theory, become a complete Cyberman and try to kill her, but Clara refuses to listen. She has not done what she should for Danny in life, and now she can at least do this one thing for him and give him peace. What Missy didn't count on was a Cyberman being able to overcome his programming- and that's exactly what Danny manages to do. He promises before his emotions are shut off, that he will never harm Clara. And as the Doctor and Missy learn, love is a promise that not even death can destroy. 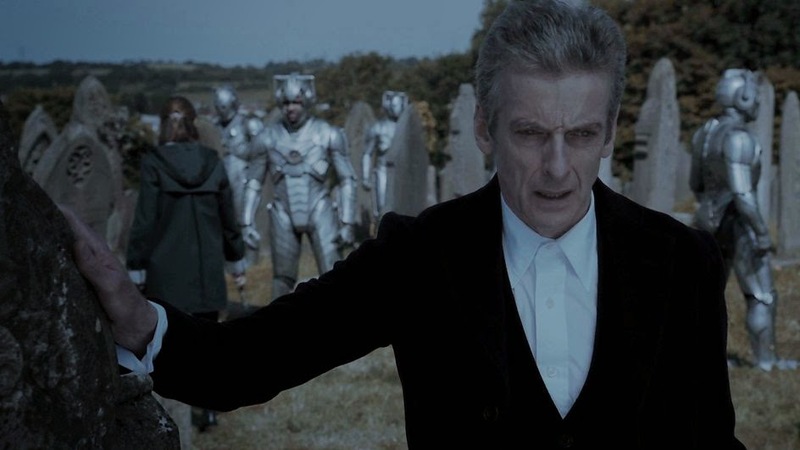 When the other Cybermen obey orders, Danny alone remains by Clara's side. And when the Doctor gets the "control bracelet" from Missy, he gives it to the Danny so that he can save us all. Danny gives a moving speech, and sacrifices himself to destroy all of the Cybermen, and protect the world and the woman that he loves. Does any soldier ever do less? The promise that they make- the vow to protect us all if it comes to that- that is the promise of a soldier, and Danny upholds his oath. As for the Doctor- this conflict with Missy and the sacrifice of Danny seems to be the catalyst for 12 to change his hardened heart. He has a new-found respect for soldiers, and we see this evidenced when the Doctor gives the Brigadier the salute he always wanted. That was a change I wanted to see. And then the Doctor kills Missy...or did the Brigadier do it? 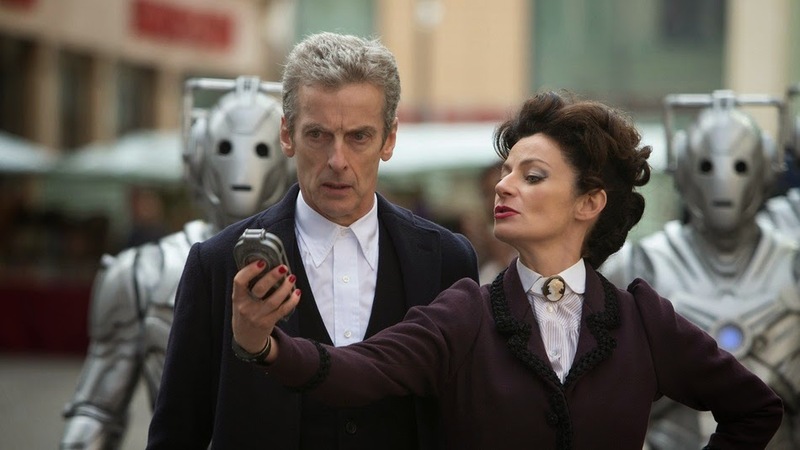 OR...did Missy actually teleport somewhere in the nick of time? I wouldn't count out the Mistress just yet. She/he has a way of popping back up for nefarious fun. And the ending. Oh my God. Danny still had the bracelet when he destroyed the Cybermen. Apparently, there was enough energy left to send one person back from the Nethersphere. But, Danny is too noble to selfishly save himself- instead he sends back the young boy that he had killed accidentally in the war. He charges Clara with looking after him, and that is the end of Danny Pink, very probably forever. So what of their children? Or at least child? They established that Danny and Clara have a "future together" because Clara met Orson Pink, who was clearly a descendant of Danny, by his looks and by the fact that he carried the toy soldier that a young Danny has in the episode, Listen. And Orson says that one of his great-grandparents was a time-traveler- presumably Clara. The boy sent back from the dead is not Danny's biological son, so he can't really fulfill this role as the ancestor of Orson Pink. Orson looks like Danny. So, is Clara pregnant then? She would almost have to be, unless they are going to throw away all of that information and chalk it up to altering your own timeline and blah, blah, blah. So we possibly have Clara raising a boy who came back from the dead and about to have her own child when she meets the Doctor at the very end of the episode. We see Clara trying to tell the Doctor some bad news- presumably that Danny didn't come back. 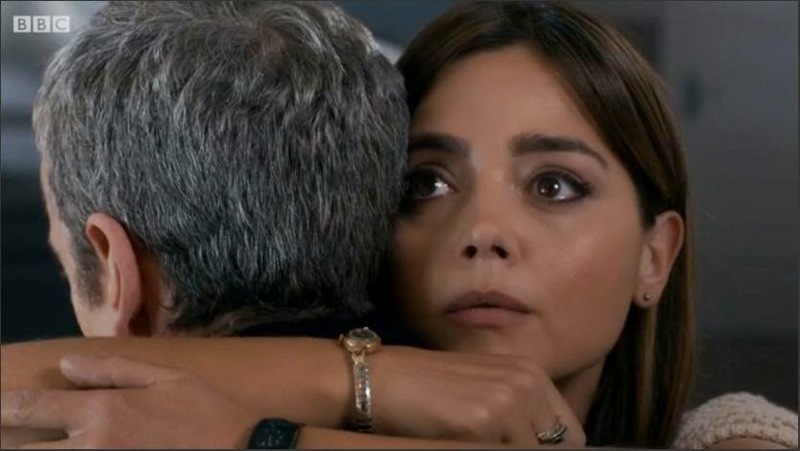 (And maybe more...) And the Doctor, assumes that all is well with Clara, and blurts out that he's found Gallifrey- a lie- and that he'll be going home now, and so go have a happy life, you deserve it, and all that. Clara, thinking the Doctor will be happy now, so no need to burst his bubble, lies back and agrees that she and Danny will be happy. So, both of them lonely and miserable, hug goodbye and go their separate ways- each thinking they are doing the other a favor by hiding their own pain. And that's it, and it is all- Oh my God this is so sad I don't think I can bear it!!! And then, Santa shows up, and it's Nick Frost, and he is saying that "She's not ok, and we have to set things right." so we assume that the Doctor is going to go with Santa to fix things with Clara properly before they part ways for good. So, that was at least one bit of positive we got at the end of a very emotional episode. Aliens? A Ghostbusters reference? Santa at the North Pole? Sure, why not? It's Doctor Who- I'm surprised there aren't cowboys riding dinosaurs as well. Maybe there will be. I was all over the emotional roller coaster with this one and for the first time this season, I actually connected with Clara and this new Doctor. Now I'm excited for the Christmas special!